Follow these steps to create a new Task Card. Task Cards are a great way to keep your workflow organized. 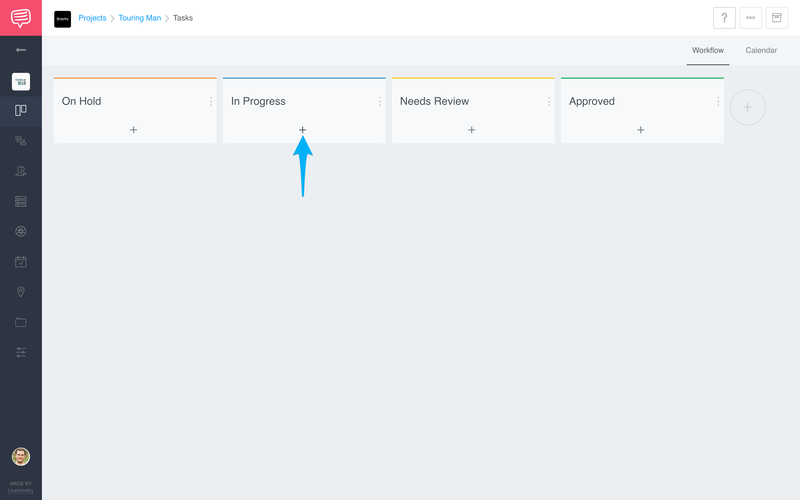 Use or create columns to monitor the progress of your projects. 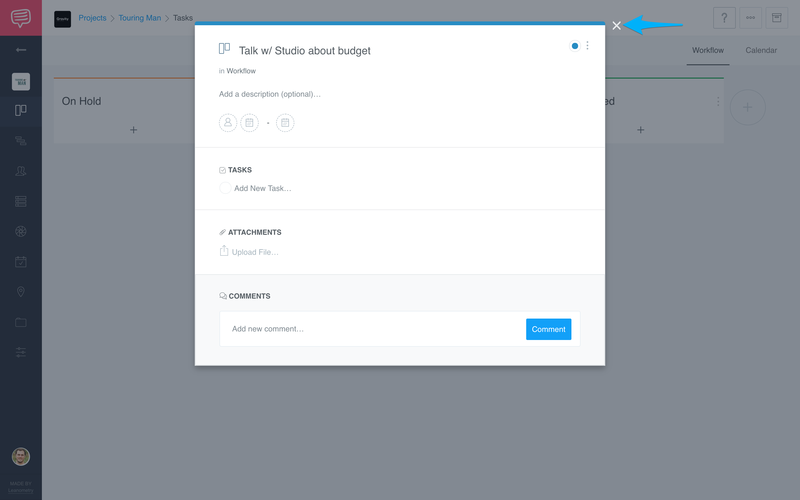 Go to your Workflow page from the Overview page or by using the Project Sidebar. 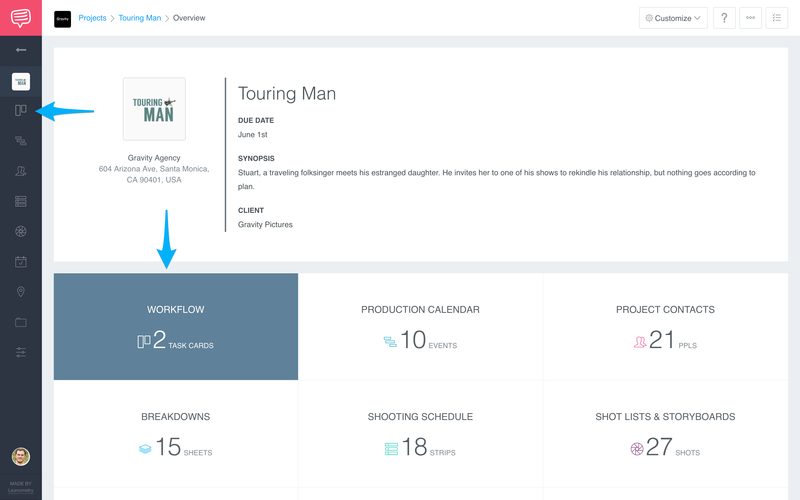 On your Workflow page, you will see default Columns (On Hold, In Progress, Needs Review, Approved). On any given column, click the plus icon to create a new Task Card. Enter a title and click enter. After you hit enter, a pop-up will appear. Fill in any necessary details and click the X to close and save the task.